In the heart of the Bavarian Forest National Park you can hike through untouched nature at 8 to 25 metres above the forest floor. The treetop walk project in the Bavarian Forest National Park makes this possible. The treetop walk was reopened in September 2009. The entrance is an entrance tower. It also allows older people, wheelchair users and parents with prams to visit the treetop walk by taking the lift. The project was completed in harmony with nature and mostly made out of wood to integrate into the mixed mountain forest. Educational and interactive elements along the walkway give impressions of the Bavarian Forest’s unspoilt landscape. Once you have walked along the approx. 1,300 m long elevated walkway, a stunning visitor platform is revealed. The impressive 44 m high viewing tower offers an amazing panorama over the Bavarian Forest’s woods and mountains. Towards the north east you can see the Lusen’s peak, in the south the Bavarian Forest’s cultural landscape. At the end of the treetop walk is the Hans-Eisenmann-Haus with its information centre. The treetop walk can be split into two parts. The first part is the treetop walk. The walkway winds through the mixed mountain forest between beech, spruce and pine trees at 8 to 25 metres high. The 7 stations along the walkway are sources of information not just for children but for adults too. You can get to know the forest and its inhabitants here. The second section of the treetop walk and probably the highlight is the tree tower. A uniquely shaped architectural concept was built here. It’s not just the height of 44 metres above the forest floor but also how the tower was built around three ancient and huge fir and beech trees up to 38 metres high that makes this structure so impressive. The ramp leads up to the top of the viewing tower over 500 metres. 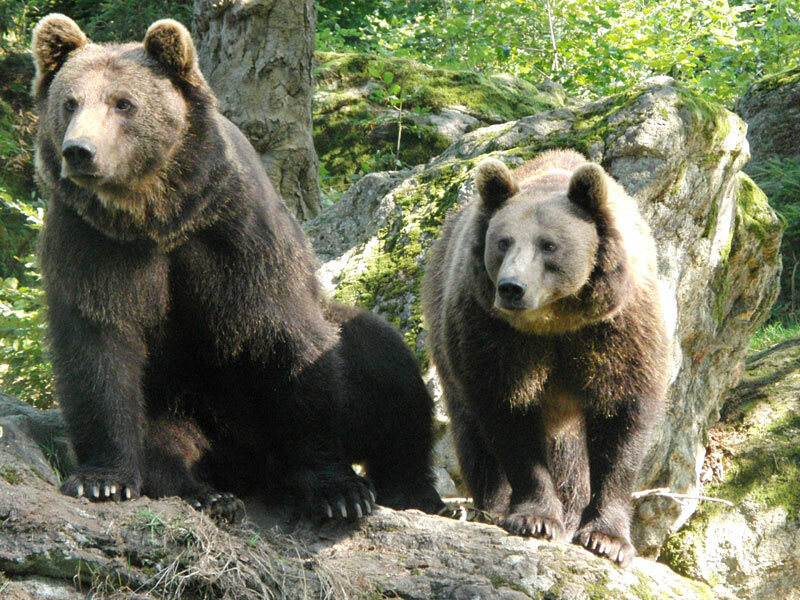 On the way to the 44 m high viewing platform you get an amazing insight into the life of the 3 Bavarian Forest giants. Experience countless forms of life like mosses, insects, small mammals and birds. Admission up to 60 minutes before closing. The treetop walk has to be closed in extremely bad weather (thunder storms, hail, gales, ice). When it snows the walk is cleared and can be enjoyed without any danger. Note: All the information is presented by Bavarian Forest Tourism Marketing. If you have any requests to change the content, please contact Bavarian Forest Tourism Marketing directly. Texts, images and data subject to correction (Ed. Lower Bavaria). Experience boundless forest wilderness in the 1st German National Park. For in the Bavarian Forest National Park nature can develop freely and the human being is only an interested observer. Get to know local animals such as bear, lynx or wolf and their way of life on a circular walk.